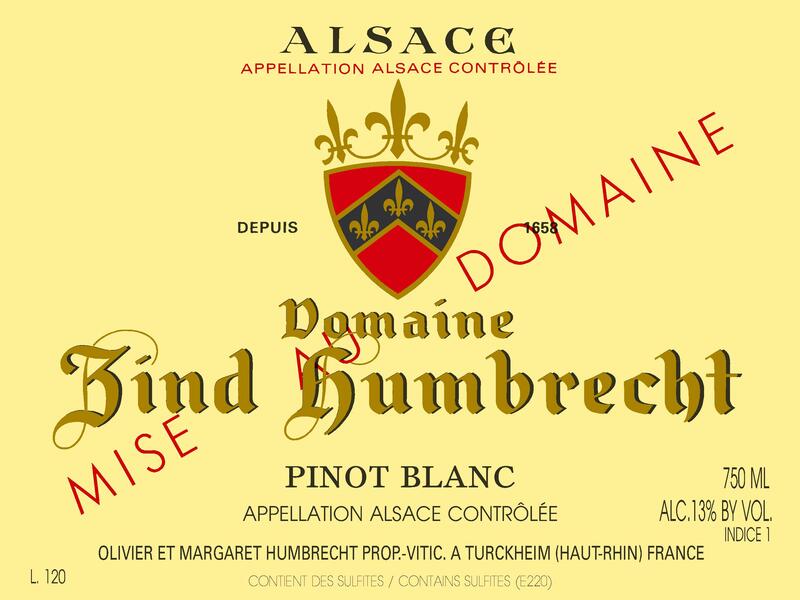 Like any of the previous vintages of Pinot Blanc, this wine is made from a blend of Auxerrois (70%) and Pinot Blanc (30%) originating from the Herrenweg and Rotenberg vineyards. Blending these two grapes is an old tradition in Alsace. The Pinot Blanc, much leaner and later ripening, compensates for the richness of the Auxerrois. Later ripening soils like the red limestone of the Rotenberg also helps to keep more acidity and a firmer structure. The 2012 grapes were amazingly healthy and showed beautiful yellow ripe skins. An early harvest with moderate richness also permitted the yeast to ferment the wine bone dry quite quickly, allowing for an early bottling. 2/2013: still on the lees, but showing a great nutty nose with a sense of white fruits. The whole wine will benefit from some extra ageing and air. The palate is technically very dry, but without any unwanted bitterness or acidity. Nice medium length and smoothness. It is a great everyday food wine. 3/2014: now in bottle for a year, the nose as firmed up and shows a classic white fruit nose. The palate, despite being fully dry displays a welcoming roundness and soft finish.